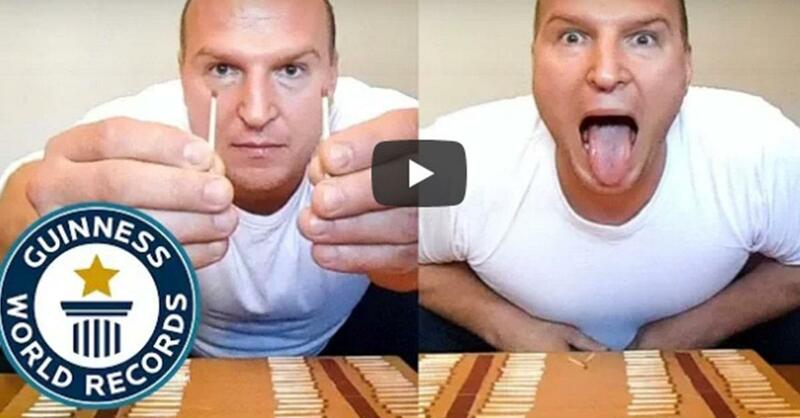 Watch: Man Breaks Record by Putting 62 matches Out with His Tongue in One Minute! Pavol Durdik holds several Guinness World Records titles and works hard to hone his skills for attempts like the Most matchsticks extinguished on the tongue in one minute! He broke a Guinness World Record when he extinguished 62 matches on his tongue in only one minute!